Coolest Sceintist Ever: The WINNER! It's the end of our tournament and time to name the Coolest Scientist Ever. It is the last word that really defines the winner. Ever. Scientific progress has been driven by the gift of genius and the people who possess it. All of the scientists who we discussed have made an impact on the world. Their discoveries have opened new fields of study and broadened our understanding of the universe and our place in it. All of them are important names in history, but one person has moved past all of the others to occupy a place in the cultural lexicon that very few people ever achieve in any field. When you think of musical greatness you think of Beethoven (or Lennon and McCartney or Madonna depending on your tastes). When you think of histories great leaders you think of Washington or Ghandi or Mandela. When you think of art you think of Van Gogh or Rembrandt. These are the people that have achieved transcendent greatness in their field, their accomplishments so vast that they’ve been reduced to a single name that evokes the depth and breadth of their accomplishments. When you think of scientific greatness, you think of Einstein. Stephen Hawking is still the Coolest Living Scientist, which, if you think about, is really very cool. Stephen Hawking is an accomplished scientist who has done so much work to popularize science. But, he's no Einstein. Einstein's work in the field of physics made him a titan. His theories form the foundation of modern physics. That makes him cool. He was politically active and spent the 30's railing against the dangers of Nazism. That makes him very cool. His eccentricities and his wit made him a popular figure in his day, and he continues to be the basis for films and books. Every mad scientist in pop culture now has a touch of Einstein. For goodness sake, part of Yoda was modeled after Einstein (seriously) and how cool is that? All of the scientists in this tournament were incredible thinkers and activists. All of them were and are brilliant, but only one of them is an actual synonym for genius. The Coolest Scientist Ever. Albert Einstein. For more about the competition and results from earlier rounds, check out the Sweet 16, Elite 8, and Final 4. We've been talking about the image of scientists a lot lately, which made me curious: if you met a scientist - and they didn't tell you that they were a scientist - how could you tell? In Research!America's recent Your Congress-Your Health poll, Americans were asked whether or not they could name a living scientist. 65% said they could not, and another 18% were unable to accurately name a living scientist. That's a total of 83% of Americans who probably don't know that a scientist lives in their neighborhood, works in their building, or teaches their children. I'm glad to see our top contenders in the Coolest Scientist Ever! Championship (vote in the sidebar!) are the #1 and #2 ranked responses - even though Albert Einstein is no longer a living scientist. But, as a country, I think we can do better. In other questions on the Your Congress poll we saw overwhelming support for research among Americans. Your friends and neighbors, family and colleagues, bus drivers and nail technicians really want more research. And they should know who's doing it. 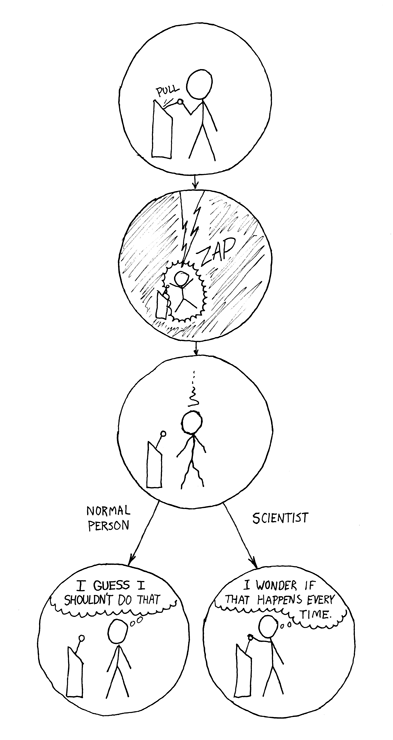 So take some time this week to introduce yourself as a scientist to someone. If you aren't a scientist, hang out with a scientist friend and encourage them to introduce themselves to others as a scientist. Write to your members of Congress and encourage them to fund more science. Ask them to get on the record about where they stand on research. America is a country by the people and for the people, so it is only when we the people start to make science a higher national priority that our elected officials will follow and help make the United States a country where innovation, research, science, and the people behind it are recognized as valuable. It's time for the championship round! Stephen Hawking and Albert Einstein are now the only two left in the running for the Coolest Scientist Ever. This past week, winners were selected based on their impact on science and society. Both matches were close, but in the end Bill Gates and Ben Franklin could not match the victors’ cultural cache. For the championship, the contestants will be judged on all criteria including scientific prowess, promotion of science and cultural impact. Both of these amazing scientists need your votes so vote early and vote often! Stephen Hawking. Why Hawking? Though Bill Gates has had an undeniable impact on our lives and done enormous good, Hawking has been a driving force behind the popularization of science. And is, simply, awesome. One of the great challenges to popularizing science is making the most advanced, complex and interesting science understandable; Hawking’s great cultural gift is that he has made science simultaneously accessible and cool. His A Brief History of Time, an international bestseller, is both a brilliant work of science and (relatively) easy to read. Hawking is also a prominent cultural figure. As the only physicist who has been on The Simpsons, Futurama, Star Trek: The Next Generation and Late Night with Conan O’Brien, he is highly recognizable in scientific and cultural circles. He has done all this while struggling with ALS and speaking through a computer, which takes more than intellect; it takes strength of character and a sense of humor. That he manages to communicate his good humor while speaking through the computer voice is an accomplishment in its own right. He is clearly one of the coolest scientists out there. Albert Einstein has been one of the top picks every single week. Regardless of the amount of scientific, cultural, and political prowess Ben Franklin exhibited, he couldn’t quite beat Einstein. Einstein is one of the most important figures of the 20th century both scientifically and culturally. Few scientists have truly redefined their field, but Einstein’s work resulted in a massive leap forward for physics at the beginning of the 20th century. Even when sneered by bullies ("Nice move EINSTEIN!") he remains synonymous with genius and with intellectual accomplishment. And his popularity extends far beyond his intelligence. Einstein was a personable and interesting man who explored the seemingly unanswerable questions both scientific and philosophical. He's so well known, he's referred to by his last name alone; and this recognition has helped to make science more prominent in the eyes of Americans and the world. Who could ask for anything more? Now that we are down to the final pairing it is more important than ever that you visit New Voices daily to vote for your favorite scientist! Be sure to submit your vote each day through Friday, July 31st, when the Coolest Scientist Ever will be announced. May the best physicist win! Who is the coolest scientist ever? Who did Hawking and Einstein beat to get here? Check out the Sweet 16, Elite 8, and Final 4. One excellent opportunity for students and academics to conduct research on a topic of interest (including health-related research) is through a Fulbright research grant. 1. Tell me a little about your background. How did you become interested in applying for a Fulbright grant? I was a Chinese and Economics double-major in college, and the summer after junior year, I wanted to find a way to combine these interests. I became a research assistant for an economist who was doing a project on the health effects of water pollution, and conducted research both in Beijing, China and in the U.S. I became intrigued by the complexity of the water pollution issue and the importance of addressing an issue that appears to have serious health consequences for a very significant population. At the same time, I became aware of the complexity of my role as a researcher from a developed country examining the challenges of a developing country. A Fulbright grant seemed like a great opportunity to continue to explore this topic while focusing on cross-cultural understanding and making an effort to gain the Chinese perspective on the issue. 2. Describe your experience with the application process. What was most helpful during this process? What did you find most challenging? Preparing to apply for the Fulbright took a lot of thought and discussion; actually writing the application was fairly simple. Once the idea of a Fulbright grant occurred to me, I had a lot of ideas for research projects. I settled on the issue of water pollution because it was the only one where I could demonstrate my ability to successfully conduct a project. All of my previous research and all of my connections were related to the water pollution issue, and they were crucial in conveying the viability of my project in my application. My biggest challenge was in finding a university affiliation in China. I had to get up a lot of courage to do all the emailing I did to find a connection to my final affiliation at Nanjing University. It was a lesson in networking, which is even more important in China than in the U.S.
3. Do you have any words of wisdom for someone thinking about applying for a research Fulbright? It's hard to get motivated to do an application for something you might not get, but the Fulbright application is simple enough (and the reward great enough if it works out) that in most cases it's worth a shot. If you have a project that you're excited about and believe in, and you have a genuine interest in understanding the culture of your host country, you'll be able to write a strong application. Your passion and preparedness will shine through in what you've written, and will lead your referees to write enthusiastic letters of recommendation. Also, never underestimate the number of people who are willing to help you! Have anyone who shows any interest in your Fulbright aspirations read over your application. Everyone I showed my application to caught something different, from awkward sentences to things that could be politically controversial. Keep your eye out for more to come on the Fulbright experience. If this is something that might be of interest to you, check out http://fulbright.state.gov/ or talk with the Fulbright contacts at your academic institution (you can apply through your university or college or at-large to the agency responsible for the program in which you are interested). But start soon, because applications are due in October! Don't leave it up to these guys, vote in the Coolest Scientist Ever! Tournament to help decide who the real superhero of science should be. Not that we don't like Aquaman, but we've got other heroes to look up to. Most of us who are Facebook users realize the social networking site has become an integral part of our lives. Every now and then, usually during a late-night visit to the site, you may notice an advertisement that seems particularly relevant to you. How does Facebook know I’m working in Washington, DC and probably looking for a deal on dinner?! 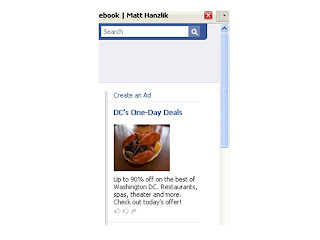 Facebook advertising is one of the most targeted forms of advertising on the internet. With 250 million users worldwide, advertising on Facebook is a new way to communicate to new audiences. The social networking site is an ideal way for New Voices to increase visibility, raise awareness of their cause, and drive relevant traffic to their websites—all without breaking the bank. This post provides the low-down on creating awareness for your cause by advertising on Facebook. Facebook offers two different payment structures. Each payment structure allows advertisers to set a daily maximum budget that cannot be exceeded. Pay for Clicks (CPC) advertising allows you to specify (through a bidding process) a certain amount that we are willing to pay each time a user actually clicks on your ad. The highest-bidding advertisers are awarded ad space and pay each time the ad is clicked. The bid price will vary depending on the target market. For example, you would need to bid a higher price to advertise to the entire New York City network that you would to advertise to the New York University network because NYC has more users than NYU. Facebook provides bid price statistics (avg. price, max., min., etc.) that are specific to each ad proposal and each targeted network. Pay for Views (CPM) advertising allows you to specify how much you are willing to pay for 1,000 views (or impressions) of your ad. CPM also utilizes a bidding process to determine who is awarded ad space. According to Facebook, CPM advertising is usually more effective for advertisers who want to raise awareness or exposure of their cause (as opposed to generating hits). Who do I want to see my ad? Targeting your audience. As you identify your audience using these criteria, Facebook will display the approximate number of users your advertising encompasses. Facebook ads are customizable and can be changed at any time. Ads include a title up to 25 characters and up to 135 characters in the body. An image can also be included. All Facebook ad views can be tracked, and you can make changes to the ad at anytime to increase viewership. Now that you know the basics, all you need to do is make the decision. Who do you want to target?? What do you want to say?? And how much do you want to pay?? Facebook can walk you through the rest. This is Part 2 in our Facebook as an Advocacy Tool series. Part 1 - Facebook: More than friends? I spent my first full day on the Hill last week. As a participant in Genetics Day on the Hill, I had the unique opportunity to visit the offices of four Representatives and two Senators with a team of fellow Genetics Day participants. In this post, I'll share my experience and the lessons I learned from our visits with legislative staff. Genetics Day was, all in all, a very positive and informative experience. I learned about how to communicate with my senators and representative and also about the importance of being informed, engaged, persistent, and clear. I will keep Rep. Kennedy’s message in mind and strongly encourage you to do the same. Whether you are encouraging your members of Congress to fill out the Your Congress-Your Health survey or writing a letter about a specific issue, your voice matters. What five components do you think would be necessary for health reform to be truly successful? Join us in the discussion section as we debate the issue. Competitors from the Elite Eight were judged based on the impact of their work on their field(s) of study, their impact on society, and on votes tallied last week. The competition was steep and now it's down to the Final Four! The results are below. To advance to the championship competition next week, each of the final four competitors will need your votes. They'll also be judged based on their popularity among the American public and their level of coolness. Stephen Hawking beat Neil Degrasse Tyson by sheer magnitude of scientific work, primarily in the field of cosmology. He is best known for his work regarding black holes and radiation (now dubbed Hawking radiation). He also theorized that there is no boundary line to the universe. His focus on popularization has helped bring science to the masses, in large part through his best-selling books, which include A Brief History of Time. 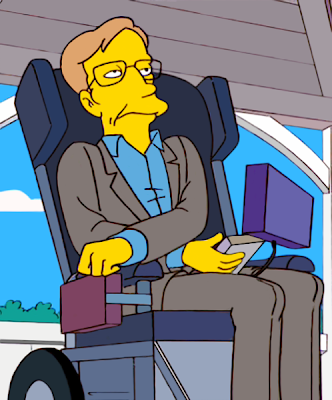 Although it is not his personal scientific work, Hawking's symptoms of ALS (or Lou Gehrig's disease) and the "talking computer" with which he communicates have also helped to generate awareness of ALS and health-related technology. Jane Goodall did her best - and had traditional science on her side - but the fact that we're writing this and you're reading this on a computer with an operating system meant that Bill Gates edged her out in the end. Gates is best known for his positions as a businessman and philanthropist, but we're focusing on his work as a computer scientist. The groundwork for the operating system on many computers today was written by Gates and his team at Microsoft in the late 1970's and early 1980's. User-friendly operating systems were the essential ingredient in the dissemination of computers throughout society, without which many of today's innovations would not be possible. 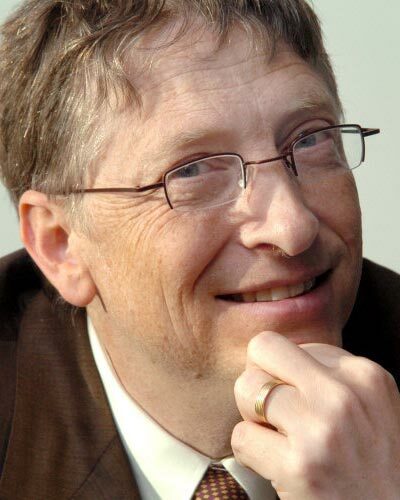 In recent years, Gates has used the fortune he acquired selling his scientific inventions to fund research in other fields, including global health. Carl Sagan and Benjamin Franklin were well-matched in popularization, but Franklin's influence on fields from optometry to electricity was too much for the creator of Cosmos. When he was not busy as a writer or statesman, Franklin invented many items including the lightening rod, the Franklin stove, and bifocals. Electricity, which is integral to our lives today, was a primary focus of his later work. As a major Enlightenment figure, Ben Franklin was also a strong promoter of scientific discourse and founded the American Philosophical Society as a forum for the discussion of scientific discoveries and theories. Tell us why your favorite is the coolest in the comments and don't forget to vote daily for the coolest scientist ever! This week, July 20-24, is National Youth Sports Week. As the title suggests, this week is intended to promote youth sports and the many benefits of athletic activity. Involvement in sports offers a broad variety of benefits for youth as well as adults. Aside from a healthier, more balanced lifestyle and improved physical condition, participation in athletics often results in higher academic performance and improved interpersonal skills. Encouraging youth to be physically active is especially important. Research shows that since the 1970s, the prevalence of obesity for children aged 6-11 years has increased to 17%; it is 17.6% for children aged 12-19 years. This can translate into significant health risks in the future. Take a walk/hike in the park. July is Parks & Recreation month, and many parks are offering free admission this year because of the recession. Busy as you may be, it is worth taking the time to get out of your office or house to become involved. Participating in and promoting these activities in your area will strengthen and improve the health of your community. You'll reap the benefits for years to come. All of us here at New Voices are strong proponents for science communication and advocacy. Which is why we were delighted to get a chance to read an early copy of Unscientific America: How Scientific Illiteracy Threatens Our Future by Chris Mooney and Sheril Kirshenbaum. Today, Heather and Ilse are going to share their reviews with you. It's important to note that both reviews are based on a galley copy (which means it wasn't finished being edited for print yet). So, any statements made about form and content may have been altered before printing. We got our copies this morning as we were finishing typing up these reviews, giving us a chance to mark the quotes accurately. However, the rest of our general statements are based on the early version of the book. We think this book - which discusses the ways science and society interact with each other (or don't, for the most part) - is worth your time. And, we hope our reviews convince you of that. Through their analysis of the historical and present relationships between science and several facets of American culture, the authors make a fairly good case. After introducing the divide and the issue of scientific illiteracy, Mooney and Kirshenbaum trace the history of science and scientific popularization in America since the end of WWII in "From Sputnik to Sagan." The case studies that Mooney and Kirshenbaum incorporate into each chapter establish a clear picture of how science is perceived today. These examples demonstrate how widespread scientific illiteracy is and also show how gaps have been bridged in the past (and could be bridged in the future). Furthermore, the book does not place sufficient responsibility on American society as a whole; even if our nation is able to develop efficient ambassadors for science, it will not be helpful if those in the media, Hollywood, and everywhere else are unwilling to receive them. Unscientific America is an engaging and thought-provoking read. It is well-researched and the writing is accessible. Best of all, the thematic approach ensures that chapter-by-chapter it will appeal not only to scientists and science enthusiasts but also to religious figures, members of the media, and virtually anyone else. Non-fiction is not my favorite type of reading, usually because as much as I'm interested in the material, it is an absolute drag to get through. For a reason that will never be clear to me, many authors seem to think "facts" and a sense of storytelling don't belong together. However, this was not the case with Unscientific America: How Scientific Illiteracy Threatens Our Future by Chris Mooney and Sheril Kirshenbaum. Trailing end notes. Other people have discussed this and the authors responded, but it didn't help me too much. I liked the smoothness of the book's flow, but when I got to the end and felt the need to basically re-read the chapters through their footnotes, I wasn't as thrilled. Left-leaning political bias. Chris is the author of The Republican War on Science, so I knew it was going to be in there, I just hoped it wouldn't. Self references. The book sometimes went from third person to a plural first person. I'm hoping this got cleaned up in the final edits. The thematic content of the book was so on point about the changes we need in the culture of science today, that Research!America (the organization behind New Voices) is sending it to our "cadre of scientists" who we hope will soon be science ambassadors. The authors make it clear that what the scientific community needs is a shift in how we associate and integrate with the public at large. They show that the fault line between science and society is caused by both sides, and that only through changes in both sides can a bridge across be built. Each chapter begins with a story-like introduction that sets the stage for the topic, discusses the main issues, then argues the authors' point and finishes with a conclusion or suggestions for how to improve the situation. It was clear that Chris and Sheril knew members of the scientific community (or those who follow it closely) would be the primary readers of the book - and they wrote it to them. The examples are relevant to that audience and help to drive the points home. They make plenty of suggestions about what scientists can do themselves: advocate, improve communication skills, learn more about interests outside of their community, etc. While they also recommend sweeping reforms for the scientific community: introduce more interdisciplinary training, "redefine the role of the scientist in public affairs" (61), or "invest in a sweeping project to make science relevant to the whole of America's citizenry." (130) The most difficult part about making these changes though is something they introduce in the beginning: there is little support for popularization or really any communication outside of scientific specialties. My only real disappointment with the book was that the authors seemed to contradict themselves from time to time. If they had to use a measure of scientific literacy (which they'd already mentioned was a dated measure), did they have to choose that one? I know they're writing to a specific audience, but they spent a WHOLE chapter explaining that we need to work with the religious community, and then they say that their belief structure should be the basis of the scientific community's constant vigilance. This type of position statement deteriorates the other well-worded messages they spent time developing. All in all though, this book should be read by anyone who wants to see changes in the way science is perceived in American society today. There were certainly specific points in the book that I disagreed with - and I look forward to debating those with all of you after you've read it, and hopefully Chris and Sheril. But, even with those points of difference, the over-arching message of Unscientific America cannot be disputed: we need a change. Congratulations to Chris and Sheril for an enjoyable and well-researched read and what I'm sure will be the basis of excellent discussion about the importance of science communication in society today. Here it is! This week's edition of the Friday News Round-up. These are some of the articles, opinions and commentaries New Voices enjoyed reading this week. They all make perfect weekend reading. An audio report from National Public Radio captures commentary on the latest stem cell research debate--funding the creation of embryonic stem cell lines. A commentary from the Kansas City Star's Prime Buzz about Senator Sam Brownback's (KS) latest legislation to regulate science. And finally, the robot takeover takes a big step forward. Don't forget to vote in the sidebar for the coolest scientist ever! Hill Meetings: So easy a scientist can do it! This blog has made a point of giving you, the New Voices for Research, the tools you need to effectively communicate science with others. Yesterday, those tools were put to the test when I met with staff members from the offices of my congressional delegation. The tips, tools and advice from this blog made the experience easy, enjoyable, and most importantly, productive! Here is a recap of some of the posts I found to be most helpful, and my reflections on them after having used them in action. My meetings were with the Health Legislative Assistants (LAs) and Health Legislative Corespondents (LCs) for my congressional delegation. It is an exceptionally busy time in Congress this summer with major legislative initiatives and hearings. I willingly accepted meetings with the LAs and LCs because they usually serve a gatekeepers for information and requests to the members of Congress. The LAs and LCs I met with yesterday were exceptionally helpful and knowledgeable about the issues we discussed. When scheduling your appointment, ask the receptionist for name of the "aide who handles health (or science if that is your field) issues." Your goal is to get that LA or LC's name so you can ask for them directly in the future. If you met with an LA or LC, be prepared for questions--these staffers were sharp and wanted direct answers to their own questions about my request. Let the LA or LC know what issues you'd like to speak about ahead of time. This will give them an opportunity to prepare, and your meeting will be more productive. The best tip from this post is #3--have a specific and singular request. Congressional staff members are very busy, and I could tell they expected me to make one or two formal requests that they could act on. When I made those specific requests, I noticed the staffers wrote them down and underlined them. Request, justification/evidence, repeat request. This is the secret to successfully conveying your point. After greetings, introduction and small talk, I made my direct request. "I'm here today to ask the Congressman to do A and B." Then proceed to the details and justification. "A and B are important because. . . ." Finally, close your meeting by reaffirming your requests. "I appreciate your time and attention to my requests A and B." Request, justification/evidence, repeat request. It is also helpful to have a printed handout with your request written in bold and underlined at the top of the page with justification/evidence below. Leave this handout with the staff member. Close the meeting by asking if you can follow-up with the staff member in a week. This is giving them a soft deadline to meet. They may say they are busy, but do your best to get them to commit to follow-up in a week or two. Don't forget to get the staff member's business card. If their email address isn't printed, ask for it. Email is often the best way to communicate with that staffer in the future. Now that you have these tips - and I've done a test run - it's time to get to work! August is an ideal time to meet with your congressional delegation and staff while they are in your home district. Check back soon for a list of upcoming town hall meetings in August. "With this much grant money, only experiment we can do is 'flip a coin'!" Thanks to commenter Sarah for the tip! Urge your members of Congress to support robust funding for NIH, CDC, AHRQ and NSF in FY 2010. With health reform high on the national agenda, now is an ideal time to speak with your representative and senators and let them know that investing in research is critical to the health of Americans and the economy. Take action now! Meet with, call or write to your delegation in support of a funding increase of at least 10% for NIH in FY 2010 with the goal of reaching an annual appropriation of $40 billion as soon as possible. Other essential investments for research to improve health are increasing CDC's core program budget by $2 billion, establishing a base funding level of $405 million for AHRQ and increasing the NSF budget by 8.5% to $7 billion. The full House Appropriations Committee will be marking up the Labor, Health, Education, and Transportation and Housing and Urban Development bills on Friday, July 17th at 9:00 AM. The markup will be webcast (though the link may not work until then), so listen to hear how funding may be distributed for FY2010. In Round 2, we're focused on discussing and evaluating the importance of each competitor's work. We’re still concerned with everything they have done to popularize science but, this round is primarily about what they did to become prominent in the first place. Stephen Hawking. The greatest living physicist dominated his first round match-up with James Watson. Hawking, known for his work on theoretical cosmology and quantum gravity, has also made huge contributions to the popularization of science. His book A Brief History of Time was on the British bestseller list for a record 237 weeks. His work with Roger Penrose redefined our understanding of cosmology in general and black holes in particular. To put it succinctly, if anyone knows what the big bang looks like, it’s Stephen Hawking. Neil Degrasse Tyson. Tyson took down James Thomson in the first upset of the tournament. While most people know him for his work popularizing science, DeGrasse Tyson began lecturing on astrophysics at the age of 15 before going on to a prestigious academic career. His greatest scientific accomplishment is without question determining that Pluto is not actually a planet and is instead a “dwarf planet”. It’s an impressive achievement, but, like most people, I was bummed out that Pluto was no longer a planet. Jane Goodall. Having crushed the NIH director nominee, Francis Collins, in round one, Jane Goodall moves into round two. It is impossible to even discuss the study of primates, evolution or even what it is to be human, without touching upon Goodall’s ground breaking work with chimpanzees in Tanzania. Her discovery of tool-making among chimpanzees is a milestone development in the study of who we as humans are, and how we came to be. Bill Gates. There are lots of people who wouldn’t even think of Bill Gates as a scientist, but apparently more than those who think E.O. Wilson is the coolest scientist ever. Many see Microsoft and the Gates foundation and forget that Gates got his start doing groundbreaking computer science with Paul Allen at a tiny company in New Mexico. It was their scientific breakthroughs writing Altair BASIC at the heart of the home computer revolution. Odds are you are reading this on something that was built on the foundation laid by Gates the scientist (and sold to you by Gates the businessman). Carl Sagan. In a Cinderella upset, the man from Cosmos has taken down the father of modern astronomy. This victory says everything about the important role Sagan played in introducing an entire generation of children to science through his books, radio and television appearances. While he’s not Galileo, Sagan was an accomplished scientist who made important discoveries regarding the make up of Venus and Mars. He is perhaps best known for his work on the possibility of extraterrestrial life which included crafting the physical message that we attach to all spacecraft sent out of the solar system. And, of course we all remember "the billions upon billions of stars." Benjamin Franklin. Franklin pulled away from Marie Curie late to move on to the second round. As for his achievements, where to even begin. Electricity? The Franklin Stove? The Public Library? The fire department? Franklin (who never patented any of his inventions or discoveries!) has had as much day-to-day impact as any scientist in history. His accomplishments in the physical and social science are utterly staggering. According the the Franklin Institute, he was "a scientist, an inventor, a statesman, a printer, a philosopher, a musician, and an economist." Charles Darwin. In the closest match-up, Darwin just edged out Nikola Tesla to move on to the second round. It’s only appropriate that controversy follow Darwin as he’s never been able to shake it since the day he decided to publish On the Origin of the Species. It would be impossible to imagine science without evolution. Arguably the most important scientific discovery ever. Albert Einstein. Crushed Louis Pasteur. Arguably the most accomplished scientist of all time, you may choose any of his enormous contributions to physics. 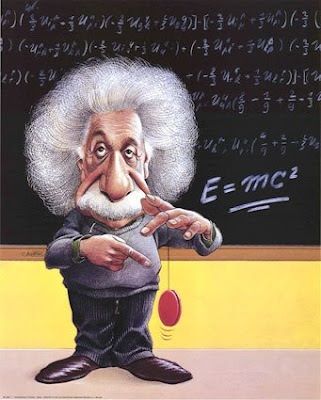 The theory of relativity? Quantum theory? Space time? Take your pick. A serious candidate for smartest human ever. So those are the Elite 8! Now get out there and vote for your favorites! Or vote against the ones you hate! You can vote once a day (poll will be in the sidebar all week) so come back and make sure your coolest scientist ever makes it to the next round. Next Tuesday: The Final Four. "Basic research is performed without thought of practical ends. It results in general knowledge and an understanding of nature and its laws. 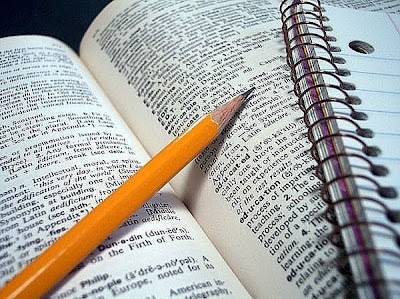 This general knowledge provides the means of answering a large number of important practical problems, though it may not give a complete specific answer to any one of them. The function of applied research is to provide such complete answers. The scientist doing basic research may not be at all interested in the practical applications of his work, yet the further progress of industrial development would eventually stagnate if basic scientific research were long neglected." If we don't support/encourage/fund basic research, we cannot innovate. Research and innovation are a loop wherein one cannot exist without the other. Yet innovation is rewarded and basic research is not. This means there is little incentive to support basic research. So who should fund the basic research? The government? Industry? Private citizens? And who should get paid for the discoveries that come of basic research? Those who did the applied research? The group that paid for the patent? Basic researchers? Taxpayers? This is Part 3 in our ongoing discussion of Science the Endless Frontier. 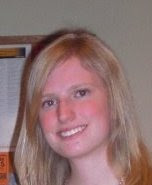 Previous experience: Ilse has studied in Japan, China, Thailand, Vietnam, Hungary, and Sweden and speaks both Mandarin and Swedish. In addition to experience working at her college, she has also spent some time working as an assistant in a chemistry lab. Fun fact: Ilse knows all three ways to ski: water, downhill, and cross-country skiing. Second, Takao deserves a round of applause for his recent post, It’s hard work being this unhealthy, appearing in the latest Scientiae Pro Publica (Science for the People) blog carnival. Check out his post and the other research written up for public audiences over at Greg Laden's blog. Now . . . the Friday News Round-up. Science and your health: research by scientists from McGill University and the University of Pennsylvania suggests that a common anti-diabetes drug may increase the strength of an experimental cancer vaccine. Bernard Siegel, Executive Director of the Genetics Policy Institute and outspoken advocate for stem cell research discusses the new NIH stem cell guidelines in a podcast interview. A longer read about recently released poll data examine the views of scientists and the public. Interesting article on legal questions surrounding the use of bioidentifiers for law enforcement purposes. It turns out that soon people will be able to hack your brain. So go ahead and be scared about it now. The New Voices Coolest Scientist Ever Tournament is going on now! Vote for your favorites in the sidebar! If you’re reading this blog, the chances are more likely than not that you have a Facebook page. In fact, there are more than 200 million active users of Facebook; 100 million of those log on each day. If you are one of those 200 million people, it’s time to start using Facebook to as a platform to speak out to your friends (if you’re similar to the average Facebook user, you will have 120 of them). Today we launch Part 1 of a three-part series about using Facebook as an advocacy and outreach tool. If you have a Facebook account, you probably already know how to use the status bar. For those without a Facebook account, the status bar allows you to type in short messages that will appear on your account as well as the home pages of all your friends’ accounts. It is common for Facebook users to type a short summery of their thoughts, activities, etc. in to the status bar. Your status bar is an excellent place to share your thoughts about important legislation, policy issues or news items with your friends. Facebook’s new status bar allows you to share a links to encourage your friends to visit a website you direct them to. Sharing online action alerts with your friends is an especially effective advocacy opportunity. Here’s the step-by-step for sharing a link. In this example, we use an action alert from Research!America. This is a great model for you to post action alerts from your own membership organizations. Step 1: Click the “Attach Link” icon in the Status Bar. Step 2: Insert the link in the text box that popped up. You can easily copy and paste a link from another browser winder. Click “Attach” to load the link. Text will automatically appear when Facebook reads the website you are linking to. Step 3: Edit the text that appears. You can click on the blue title and the black text to edit each box. Sometimes Facebook reads the wrong section of the website you are linking to, so make sure the edit the text so it says what you want. You can also use the arrows to scroll through other pictures to appear on your status message. Here is a finished example done by Mary McGuire Richards, a Parkinson’s disease advocate with the Parkinson’s Action Network. Mary is asking all her friends to contact their senators in support of a bill. Mary is also able to share this message directly with her friends by clicking the “Share” link. Once the “Share” box appears, click the “Send a Message” tab. Here, you can type your friends’ names in the message box and send them a personal message with you link. To save time, you can send the same message to multiple friends by typing each name in before sending. However, the “Share” function is so easy to use that I usually send individual message to each of my friends that may act on my link. I use the same message text, but add their name into the message to make it seem more personal. While you're using your Facebook status bar to advocate, don't forget to join the Your Congress-Your Health fan page for updates and links to share. Stay tuned for the next part in the Facebook as an Advocacy Tool Series! On Tuesday, the National Institutes of Health released its final Guidelines for Human Stem Cell Research. It's felt like a long time coming. President Barack Obama signed an Executive Order in March directing the NIH to draft new guidelines to expand federal funding for embryonic stem cell research. In April, the NIH released a draft of the guidelines and solicited comments on the draft guidelines from researchers and the public. The NIH received and reviewed approximately 49,000 comments from scientists, organizations, citizens, and members of Congress. NIH released a summary of the public comments and the NIH responses with the final guidelines. Reviewing the comments alone was a monumental task, and the NIH should be commended for completing the review ahead of schedule. The NIH Guidelines significantly change the research policy environment for the better from the restrictive years of the Bush administration. There is consensus among the scientific community that the final guidelines are a considerable improvement over the draft guidelines released in April. We’ve taken the liberty to summarize the highlights of the final guidelines. A point of contention among the research community with the draft guidelines was the possible exclusion of funding for stem cell lines created before the guidelines were issued. Researchers were worried that years of discoveries would be excluded from further study. Thankfully, the NIH created a system to separate stem cell lines created before and after the effective date of June 30, 2009. A special review committee will review the informed consent procedures and ethical standards of stem cells lines created before the effective date to determine if they meet ethical requirements for funding. 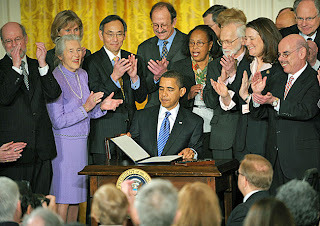 For stem cell lines created after June 30, 2009, the NIH will establish a registry of approved lines. To be approved, these stem cell lines must (1) be created for reproductive purposes, (2) be donated with voluntary, informed written consent, and (3) provide documentation of other ethical requirements. The registry will take some of the “guess-work” out of using stem cell lines. This, in turn, will allow researchers to spend more time researching, and less time guessing about approval. To the disappointment of many researchers, the final NIH Guidelines do not allow federal funds to be used for stem cell lines created for research purposes. The NIH determined that the use of stem cells from somatic cell nuclear transfer (also known as therapeutic cloning), for example, “involve complex ethical and scientific issues on which a similar consensus has not emerged” (NIH Guidelines, 5). It seems logical that the advocacy focus of the stem cell community will shift to building consensus for somatic cell nuclear transfer. According to Research!America polling, the stem cell community is well on their way—nearly 60% of Americans think therapeutic cloning should be allowed (slides 19, 24). Stay tuned for more reaction from the scientific community. Share your thoughts about the NIH Guidelines in the comments section! Update: Clickable poll now available in the sidebar! Here at New Voices, we can find something cool about all science. Sadly, scientists around the world fight against stereotypes that cast them as the anti-cool. So, for the next month, we'll be highlighting the coolest scientists (thanks for your suggestions!) and pitting them against each other in a March Madness style competition for the title of Coolest Scientist Ever. Each week, we'll narrow it down until we reach an ultimate champion. Of course, we all have our own definitions of cool, which is why your votes are really going to help move each of these fabulous scientists along in the competition. Each week, vote in the comments and tell us who SHOULD be the Coolest Scientist Ever! You can vote for the winners of any/all match-ups; and if you're feeling especially passionate, tell us why these scientists should win. 1. This is, in fact, a popularity contest. If you look at polling data, 74% of Americans can’t name a living scientist (slide 19). That’s a completely unacceptable number. Which is why it’s so important to have science advocates in the public eye showing people the importance of scientific research to their lives. There are any number of incredible scientific discoveries, but what separates the Coolest Scientist from the others is that they’re out there making sure that the public is aware of discovery and of science in general. *Bonus points awarded for appearing on a TV show that people watch in large numbers. 2. Ok, so it’s not ONLY a popularity contest. We also have to evaluate these scientists on the quality of their work and its importance to the world. A record of significant accomplishment is an absolute necessity to being the ideal science advocate. 3. Other random bits of coolness that strike our fancy. Do they have a Facebook page? Have they appeared on The Simpsons (posthumously counts!)? Do they have outstanding hair? Are they the person who made you want to be scientist? Did they stand up to the Catholic Church in 17th century? All of these things contribute to a scientist’s relative coolness. In addition to these factors each round will have a specific extra weight given to it. The Sweet 16 will be weighted based on which scientist was named most often by Americans. The Elite 8 will be weighted based on the impact of their particular research. The Championship Match-up will be decided based on all of the above factors, with your votes carrying the most weight. Vote today and encourage your friends and family to do the same. May the Coolest Scientist win! There will be no bigger topic on the political agenda this summer than health reform. The decisions that Congress makes will have long lasting effects for all of us - which makes it even more important for us to be proactive citizens. For this reason, Research!America is relaunching its constituent education initiative Your Congress - Your Health for the 111th Congress. Every member of Congress has been invited to complete a brief questionnaire about research and other issues that affect our health. Help us achieve our goal of getting everyone on the record by visiting www.yourcongressyourhealth.org and sending them a message urging them to participate. 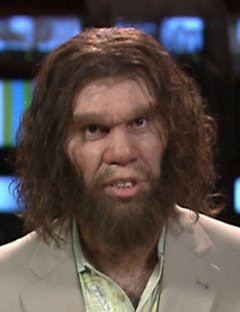 Just put in your zip code and all of your elected officials will appear. Check out their responses, and if they haven't already responded, click the link (it will redirect you) to send them a quick message. It took me less than 5 minutes, and I personalized the message that went to both my senators and my representative. We'll be talking about Your Congress - Your Health on the blog from time to time, but for regular updates (including alerts when your members of Congress respond), join us on Facebook. New Voices is off today in (advance) celebration of the birthday of this great nation. We'll be catching the fireworks at the Capitol Fourth celebration this weekend and otherwise enjoying the beginning of another year for the United States of America. Have fun, stay safe, and remember that fireworks in a closed hand can be awfully dangerous.